...: Please do not drown...at least try your best not to. 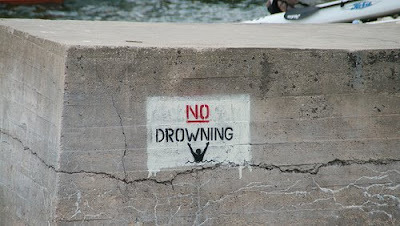 Please do not drown...at least try your best not to. The kid that did this stencil was visiting DC and moved to California.